Project Fi occasionally offers significant discounts on its (small) collection of available devices. The Moto X4 dropped to $250 in February, and Fi had a BOGO deal for the phone earlier this month (which is still active). If you're in the market for a Google phone instead, the Pixel 2 XL is now $150 off. With the discount, the 64GB Pixel 2 XL drops to $699, and the 128GB model drops to $799. 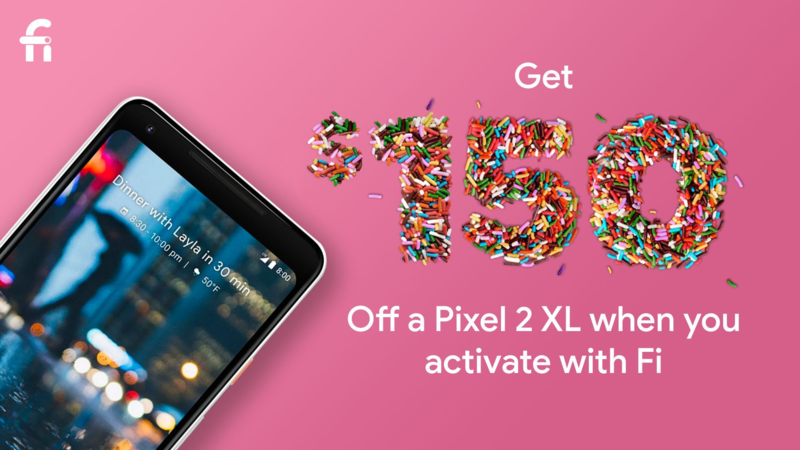 There's a limit of one discounted Pixel per group plan member. Unlike most of Project Fi's discounts, the sale is applied at checkout, instead of provided as service credit later on. However, if you don't activate the phone within 30 days of shipment, you will be charged $150. You can buy the Pixel 2 XL from Project Fi at the source link below. It's a referral link, so you'll also get $20 in Fi credit if you're signing up for the first time. This sale is only live until the end of today (11PM Pacific Time), so you should hurry.